The single most powerful all-in-one anti-aging night treatment in existence. Platinum Triple Glow is the most powerful all-in-one anti-aging night treatment that is available to American markets. Platinum Triple Glow diminshes the appearance of fine lines, wrinkles, and deep creases. At the same time, it evens the skin tone by fading sun spots, melasma, discoloration, and spots of uneven pigmentation. Using a scientifically-proven, high potency, custom-compounded formula, Platinum Triple Glow will completely makeover your complexion over the course of three to six months. Platinum Triple Glow contains the best anti-aging ingredients that have been described in the scientific literature. As a consequence, it is prescription-strength. Note that Platinum Triple Glow will make your skin feel dry and may cause it to peel in the first 4-8 weeks. 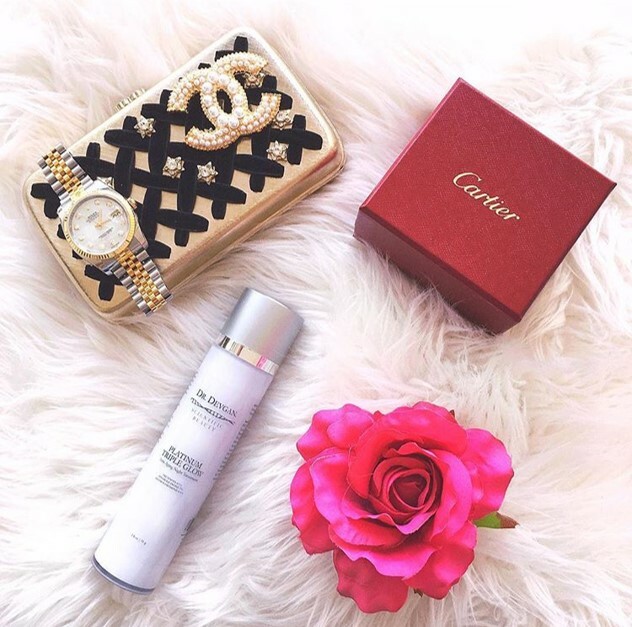 Use of Platinum Recovery Cream as an emollient moisturizer is recommended as often as necessary to replenish the skin's moisture and combat dryness. It is essential to wear appropriate sun protection, as Platinum Triple Glow will make the skin more sun-sensitive; we recommend Platinum SPF 45 Daily Tinted BB Cream. Use as directed by Dr. Lara Devgan. Most patients will begin with every other day use as their skin acclimates to the powerful anti-aging formula, and then gradually increase to once a day use. Dr. Devgan recommends use of this product at night. Wait at least 30 minutes after washing your face at night to ensure that your skin is dry. Dot a pea-sized amount of Platinum Triple Glow over all parts of your face and rub in the product using your fingertip. Excess product may be applied to your neck and the backs of your hands. If you have sensitive skin, begin with every other day usage. Please note that this product is not intended for women who are pregnant or nursing. "There is no other skin care product that is more effective than Platinum Triple Glow in terms of combatting fine lines, resurfacing an uneven complexion, diminishing sun spots, getting rid of splotchy pigmented areas, and softening the skin," says Dr. Devgan. Exclusively dispensed to patients of Dr. Lara Devgan. A brief medical questionnaire is required when purchasing Platinum Triple Glow. This will pop up once this product is added to your cart. Platinum Triple Glow contains the best anti-aging ingredients in existence. As a consequence, it is prescription-strength. You should not use this product if you are pregnant or breastfeeding. To set up a real, virtual, or phone consultation and comprehensive skin care evaluation, please email info@LaraDevganMD.com or call (212) 452-2400.